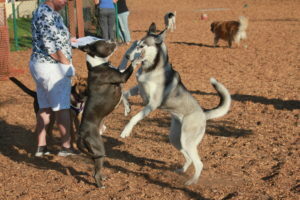 Elm Street Dog Park – Official site for the Elm Street Dog Park in Arroyo Grande, CA. To donate to the Elm Street Dog Park using paypal click on the button below. or drop donations into the Donation Dogs in the Big Dog and Small Dog yards. 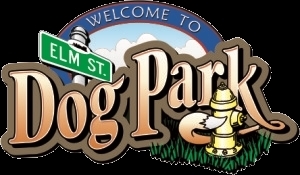 The Elm Street Dog Park is an off-leash dog park located at Elm Street and Ash in Arroyo Grande. Dogs over the shoulder height of 18 inches are welcome in the Big Dog Yard. Little dogs have a yard allocated just for them. All are welcome, providing they follow the municipal codes posted. The Five Cities Dog Park Association spent five years locating space, negotiating with local city boards, drawing up plans, researching dog parks throughout California, making numerous presentations to committees, etc. 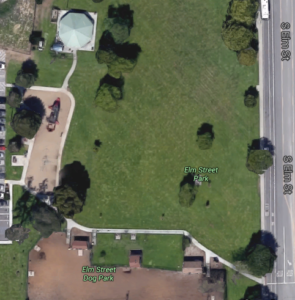 to develop an off-leash dog park By January, 2008, Arroyo Grande City Council approved the plans for the dog park to be at Elm Street Park. The Five Cities Dog Park Association raised the money for construction that began in April, 2009, on the sidewalk and fences. In total they raised donations of about $100,000 that came from Community Foundation grants, local businesses, Arroyo Grande in Bloom, Boy Scouts of America, and Others . Their mission was to open dog parks in the Five Cities area, and some of the money raised was for additional parks. When the Five Cities Dog Park Association announced they would no longer provide maintenance services or oversee the dog park, the future of the dog park was in question. Members of the City Council wanted to dismantle the dog park altogether. 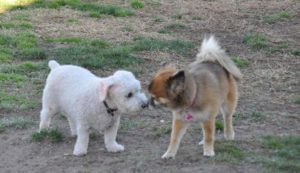 Jan Scott, Patti Cole, and other volunteers, The Elm Street Dog Park Association, stepped forward to offer their services to take over the management of the dog park, and the City Council of Arroyo Grande approved their offer on September 24, 2015. The new Board of Directors operates under the umbrella of the nonprofit San Luis Obispo Parks, Open Space and Trails (SLOPost). ESDPA leases the land from the City of Arroyo Grande. The care and maintenance of the yards, benches, gates, and fences falls to the volunteers. The generous volunteers and/or the ESDPA buy the grass seed, plant food, fertilizer, Mutt Mitts and wood chips.